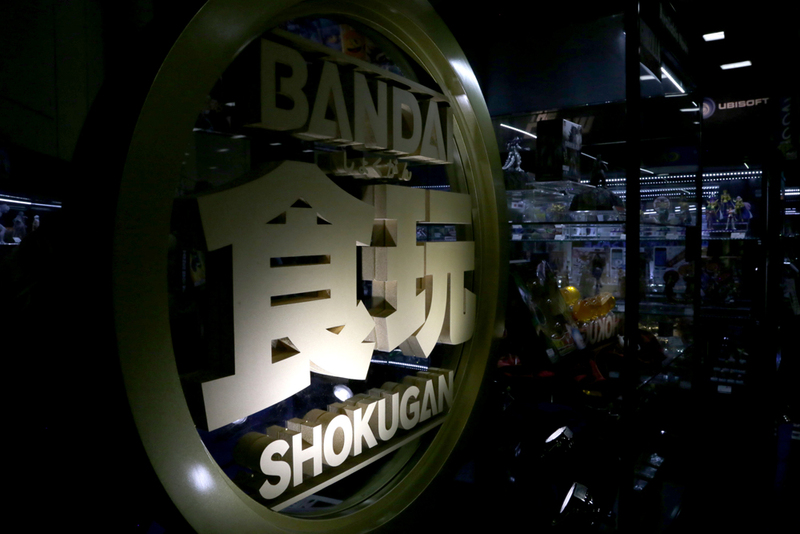 Bandai, and its Tamashii Nations brand of collectors’ merchandise, has always been at the forefront of Japanese imports and collectibles, featuring designs from some of the most popular anime, video games, tokusatsu, and more. Their showing at this year’s SDCC did not disappoint, with a variety of new reveals along with displays of popular merchandise from the past year. 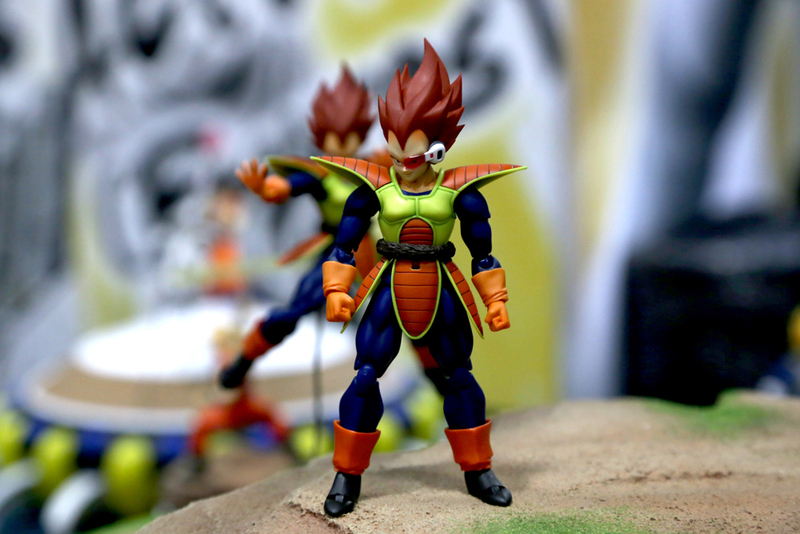 Among the new reveals were Bandai’s newest Dragonball releases, exclusive to SDCC. These included the S.H. Figuarts Vegeta figure in its original animation colors, as well as the collectible Dragon Ball & Dragon Radar pack. These two exclusives were featured alongside a number of other previous Dragonball releases, including Figuarts articulated figures and Figuarts ZERO statues. Also featured was the new upcoming series of chibi-style Dragonball statue collectibles, which have no planned release date as of yet. Also unveiled for the first time at SDCC was the first state-side look at the new Naruto S.H. Figuarts collectibles! 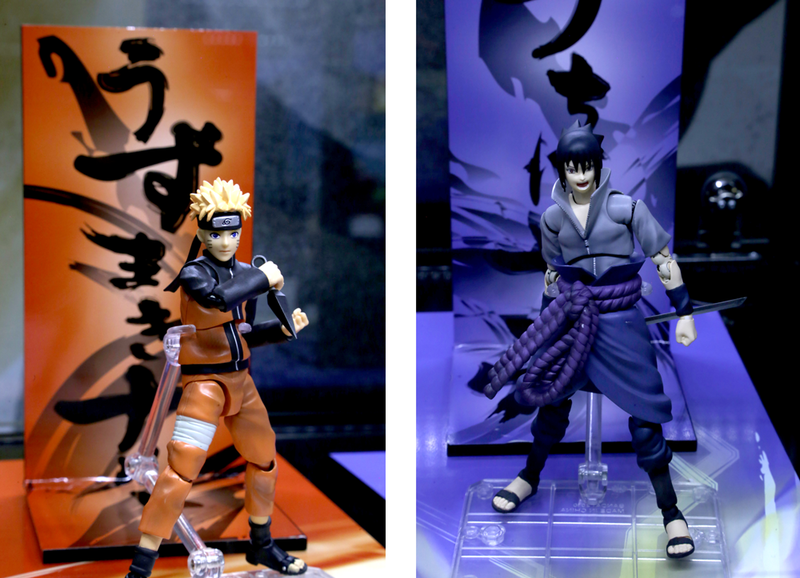 The two new figures in this series, Naruto and Sasuke, featured their most recent designs from the manga, and each included alternate faces, swappable hands, attack effects and more. On top of that, Nintendo fans across the world got their very first look at the brand-new S.H. Figuarts Luigi from the Mario franchise! 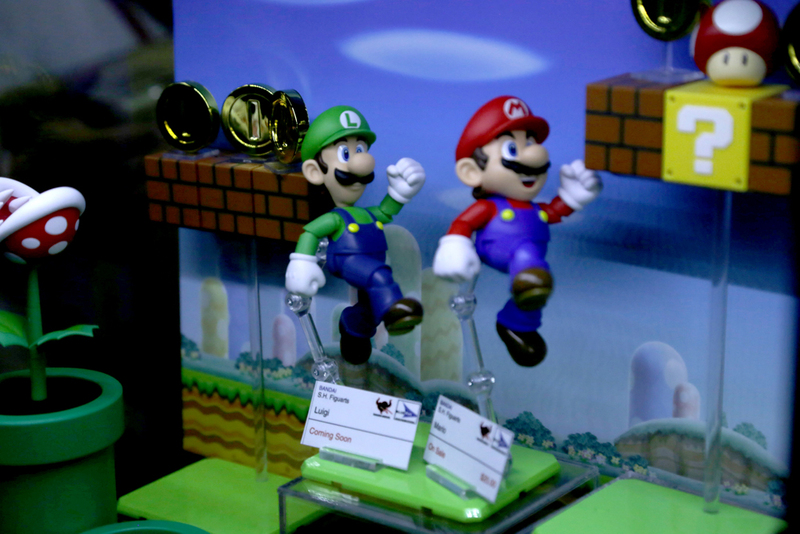 Posed alongside his brother Mario, who recently got his own S.H. 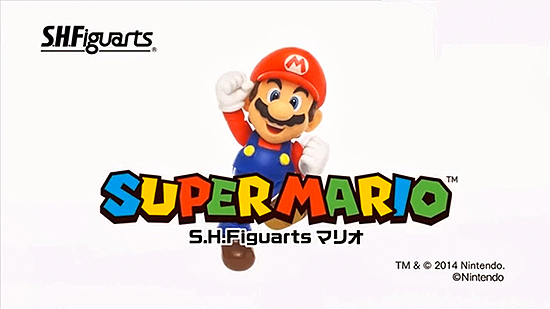 Figuarts release, their display included brand-new playset options for the set, including a themed backdrop and an extending Piranha Plant enemy! 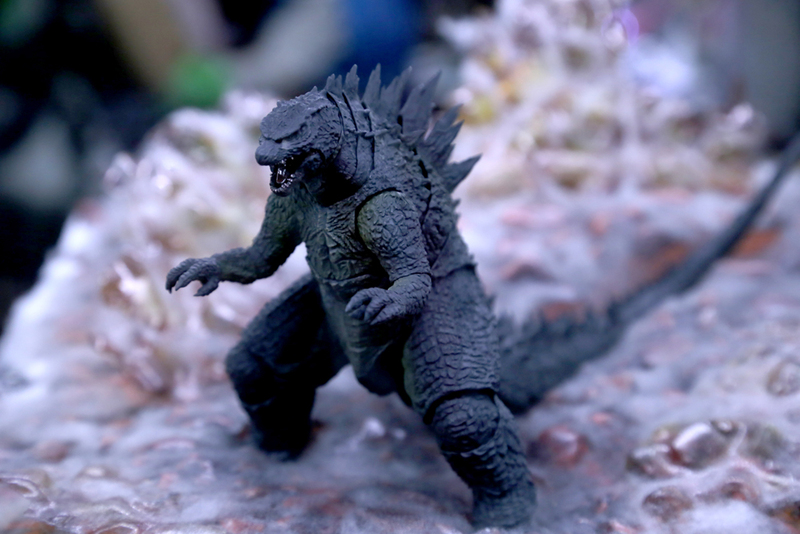 Godzilla, who has had a busy year with the recent Legendary film and sequel announcement, was also at the Bandai show floor, appearing in his newest 2014 look in the S.H. MonsterArts line. Releasing later this year, the figure was also accompanied by a number of other Godzilla figures, including toys of older Godzilla designs and MechaGodzilla. Finally, to celebrate Doraemon’s upcoming United States debut this August, Bandai unveiled two brand-new toys of the show’s protagonists: S.H. 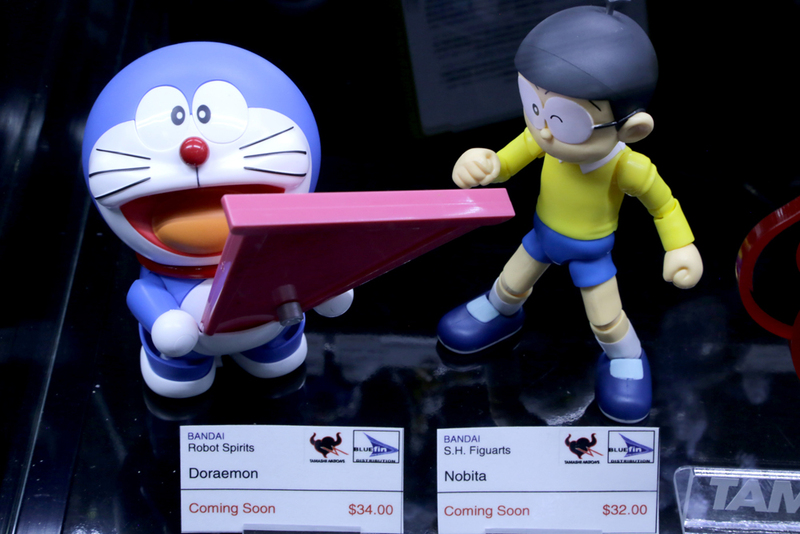 Figuarts Nobita and Robot Spirits Doraemon! Both of these figured appeared for the first time at the show, with Nobita having swappable hands and faceplates, and Doraemon even coming with his Dokodemo Door tool. 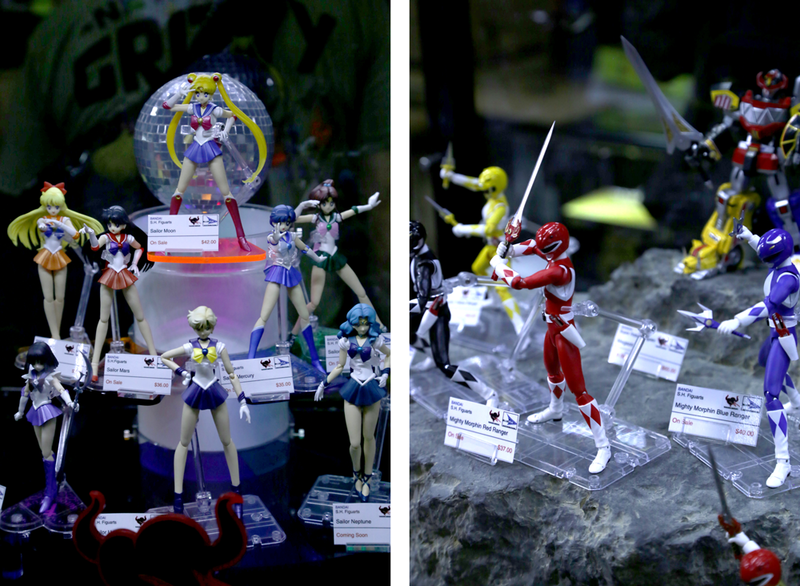 Other popular display pieces at the show were the complete set of Mighty Morphin’ Power Rangers and Sailor Moon Figuarts! Both displays featured the entire cast of characters from each series, with unique display options such as the rotating disco ball on Sailor Moon’s display and the earth-like texture on the Power Rangers display. The Power Rangers play even featured the previously released Super Robot Chogokin figure of the Dino Megazord! 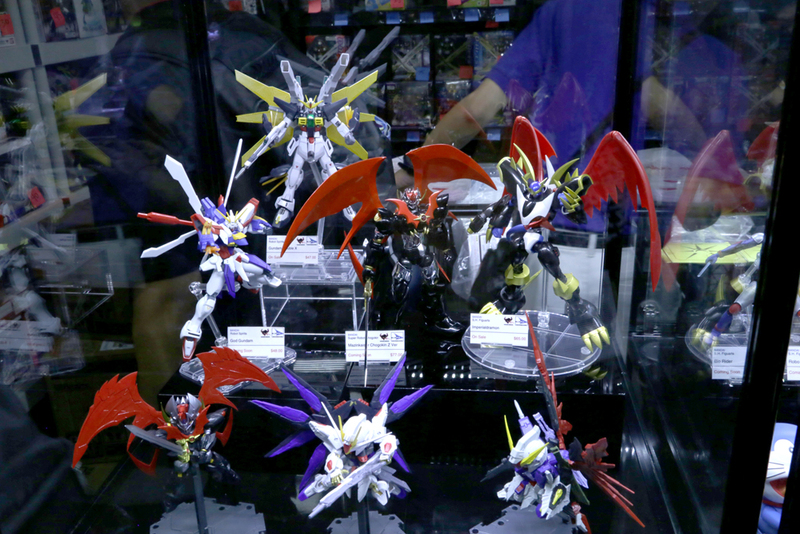 A number of Bandai’s other popular figures were on display as well, featuring figures from franchises like One Piece and Saint Seiya, and more. 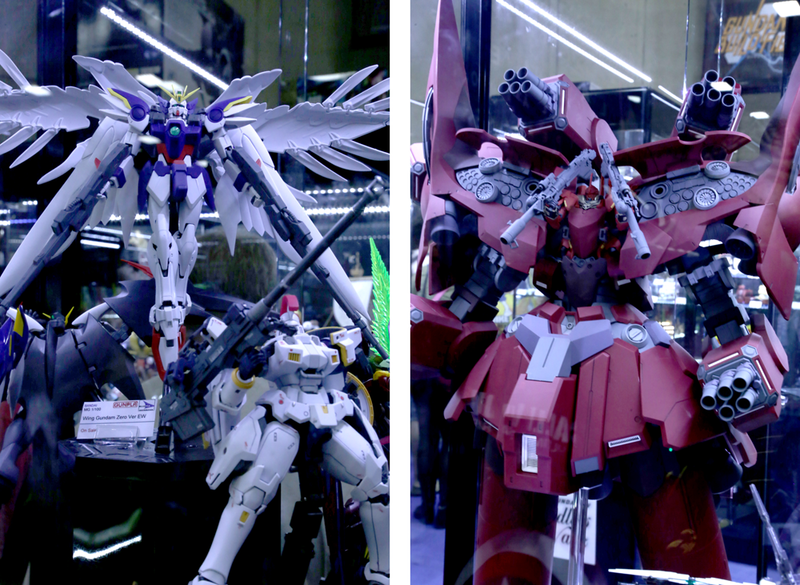 There were even display cases dedicated to popular Gundam franchises like Gundam Wing and the recent Gundam Build Fighters! Seeing all of these amazing toys in one place is truly what makes SDCC one of the biggest and most fan-beloved conventions in the world, and we’ve still got a ton more coverage to do about the event, so keep your eyes peeled!